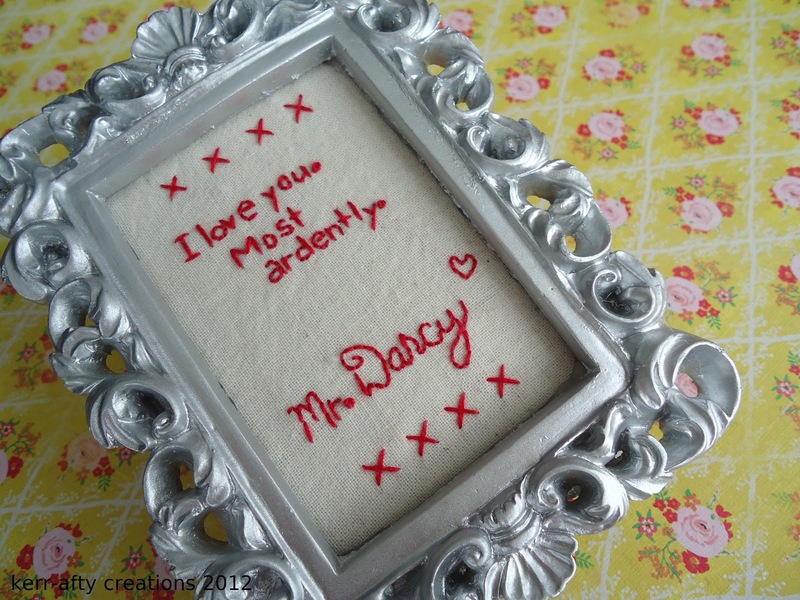 I stitched up this little piece for a friend of mine who is obsessed likes Pride and Prejudice. Seriously she has the movie memorized word for word, and she will quote it while you're watching ! .... no lie. 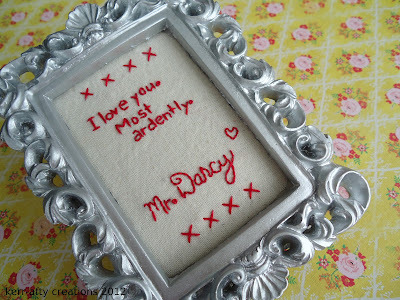 I saw this quote on pinterest and I instantly thought of her and wanted to do it in stitching. I didn't want to do it too big and when I remembered that I had some small frames (like the one I used in this tutorial) I got right on it! The inside measures about 2 inches by 3 inches. 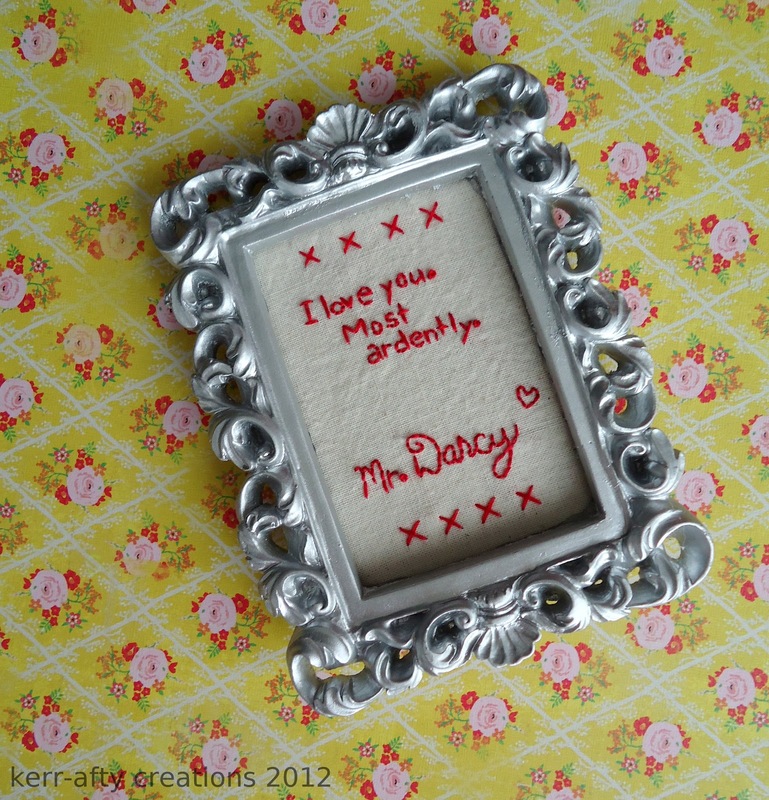 I was almost tempted to keep it for myself but I did end up sending it to her and I hope she likes it! I love this! I just finished reading this book a couple of days ago! (How did I go 27 years without reading this?!) Very cute.